The move designed to promote responsible use of antibiotics for food-producing animals will affect your backyard flock. 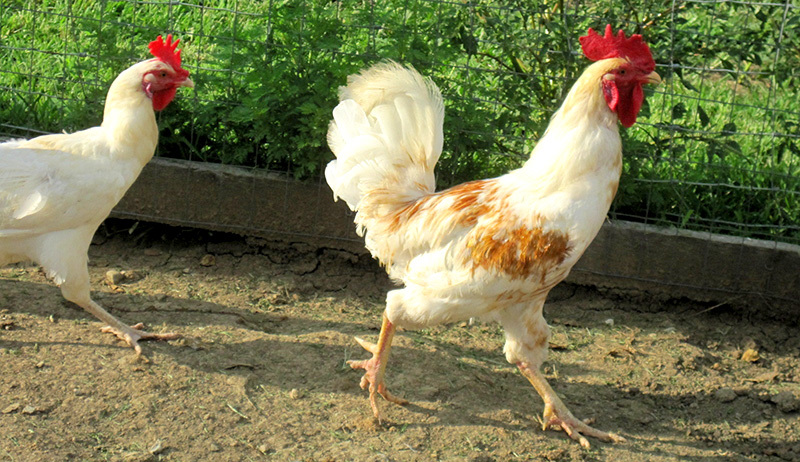 We’ve said it before: Preventing disease through proper husbandry and biosecurity practices is the best approach toward keeping backyard chickens healthy. However, when birds do begin to exhibit signs of an illness, such as sneezing, coughing, bloody diarrhea or an inability to move normally, the cause can either be infectious or noninfectious, and antibiotics are not always the appropriate remedy. Noninfectious diseases can be caused by nutritional and reproductive disorders and aren’t contagious. Infectious diseases, however, are caused by viruses, parasites and bacteria. Because of the relatively easy access to over-the-counter antibiotics from feed-supply stores in the past, some poultry keepers just blindly gave their birds medicine before they knew what was causing the disease. If the clinical signs are caused by noninfectious processes or infectious diseases that are not bacterial, administering antibiotics is wasteful and can contribute to antibiotic resistance. In order to address the inappropriate use of over-the-counter antibiotics in animals, the U.S. Food and Drug Administration recently updated the Veterinary Feed Directive section of the Animal Drug Availability Act of 1996 in order to eliminate over-the-counter access of selected drugs. 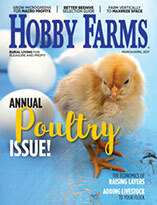 Here, we’ll explain the new feed directive and how it may affect you and your backyard flock. Beginning Jan. 1, 2017, the VFD restricted access to selected, previously over-the-counter antibiotics for poultry and livestock that are also considered medically important in human medicine, such as penicillin. Per the FDA, all poultry—including backyard birds and ones that are solely pets and not used for egg or meat production—now must comply with the VFD rules. Previously, antibacterial drugs often used in poultry—including tetracyclines (such as terramycin and chlortetracycline), erythromycin, lincomycin, spectinomycin, penicillin G, tylosin, bacitracin and sulfa drugs (sulfadimethoxine)—were carried in feed-supply stores and sold over the counter. All of these, except bacitracin, are now regulated by the Veterinary Feed Directive, meaning they are no longer available over the counter. Drugs typically given in water—including chlortetracycline, erythromycin, gentamicin, lincomycin, lincomycin/spectinomycin, neomycin, oxytetracycline, penicillin, spectinomycin, sulfadimethoxine, sulfamethazine, sulfaquinoxaline and tetracycline—have also been transitioned from over-the-counter to prescription status. It’s important to recognize that all antibiotics have their own individual spectrum of bacterial targets against which they’re effective. From a practical perspective, there’s not a magic pill that will fix your chickens and heal any and all illnesses. In addition, using an incorrect antibiotic is ineffective and can lead to selection of antibiotic-resistant bacteria that can result in poultry and human health concerns. Therefore, diagnosis of the specific infectious bacteria is often preferred, and because of that, antibiotics listed on the VFD are now accessible only under the professional supervision of a licensed veterinarian. In order to get a prescription to these previously over-the-counter antibiotics, you will now need to have an established veterinarian-client-patient relationship. Specifically, veterinarians are not allowed to prescribe antibiotics without seeing the patients. They’ll need to perform physical exams of the chickens to identify the cause of the diseases and, in some situations, prescribe medication. The Veterinary Feed Directive doesn’t affect medicated starter feeds that contain coccidiostats to reduce the coccidiosis in growing chickens because the drugs used in them aren’t considered medically important for humans. Using medicated feed in chick starter is still highly recommended to control coccidia infections in chicks and mitigate co-infections with coccidial infectious agents. If a chicken has coccidiosis, it’s more likely to be susceptible to many other bacterial, viral and parasitic infectious diseases because its immune system is already fighting off the coccidia. As previously stated, bacitracin, which is primarily used to control necrotic enteritis, a bacterial Clostridial disease, is also not affected by the VFD. Finally, with respect to conventional poultry production, per the Veterinary Feed Directive, using antibiotics for growth promotion is no longer allowed, meaning antibiotics can be used only if the poultry are being treated for a specific bacterial disease. As noted earlier, always practice good husbandry and preventative medicine with a focus on biosecurity. Reach out to your local university or extension office for more information on best practices. In addition, the U.S. Department of Agriculture’s Biosecurity for the Birds website provides some great advice and tips. However, if your chickens do become sick, working with a knowledgeable poultry veterinarian is essential and will most likely save you time and money in the long run. Keep in mind that not all antibiotics are safe in hens and broilers, and many antibiotics have recommended withdrawal times to ensure you aren’t exposed to antibiotic residue in eggs and meat. Whether or not a drug is on the Veterinary Feed Directive, your veterinarian can provide advice about the appropriate treatment and how it should be administered. 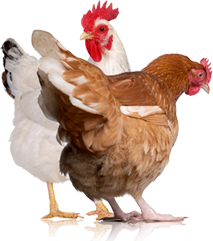 You can also visit the Food Animal Residue Avoidance Databank website for further assistance with respect to withdrawal times associated with the consumption of eggs and meat from chickens treated with any drugs, including antibiotics. 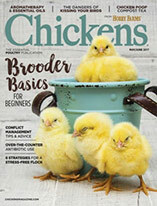 This article, which first appeared in the May/June issue of Chickens, was written by Xunde Li and Maurice Pitesky, faculty at the UC Davis School of Veterinary Medicine and UC Cooperative Extension. Maurice Pitesky is a faculty member at University of California School of Veterinary Medicine-Cooperative Extension with an appointment in poultry health and food safety epidemiology. Dr. Pitesky earned his B.S. in biology from UCLA, and his DVM and MPVM from UC Davis. Pitesky is also boarded in Preventative Veterinary Medicine (DACVPM). Pitesky’s research interests are focused in mapping of avian diseases, food safety epidemiology and in gaining a better understanding of small scale poultry production with respect to environmental sustainability, poultry health and food safety.